Triple your pleasure, triple your fun by listening to William, Alexander and Chris talk about Double Happiness. Writer-director Mina Shum's 1994 feature debut, starring Sandra Oh, has a lot to say about immigrant parents and their children. The talkative trio also chat about Brian De Palma, female directors and completely untrue facts about Ang Lee. 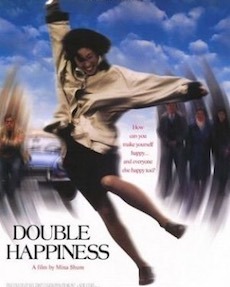 Here are the IMDb links to the movies discussed in this episode: Double Happiness, The Wedding Banquet, De Palma, Raiders! : The Story of the Greatest Fan Film Ever Made, Red Road and The Hurt Locker.